Norwest Woods is located on Norwest Dr. It provides an ideal setting for families and professionals, with easy access to the Rte. 128 corridor, to I-95, the Boston commuter rail, and to Rte. 109 in Westwood. Tucked into a residential neighborhood off Nahatan St., Norwest Woods consists of six clusters of 332 townhouses built between 1970 and 1980. Twenty one-bedroom, single level units were added to the property recently, and plans are approved to add 54 more one-bedroom units on the site. The new building will have an elevator and handicap access. 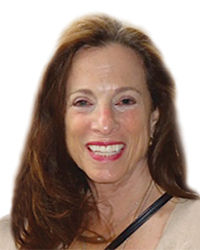 Chestnut Hill Realty bought the property in August, 1998 and made many changes after an extensive site plan review. Major landscaping improvements and parking lot upgrades were the first projects completed. Shortly thereafter, a new leasing office and clubhouse were built which includes an internet café, fitness center, activity room, and a redesigned pool. As with all CHR properties, energy efficiencies are put in place wherever possible. Free taxi service to the Norwood T stop is an amenity enjoyed by many residents. "The townhouses have an attractive two-story design," said Sam Smart, Regional Property Manager. "It is a great location for families. In addition to the new pool and tot lots, there is a ball field, soccer field, half basketball court and bike path. The units are very large and the courtyards provide plenty of space for kids to play." The entrance way was re-landscaped and the street name was changed from Normandy Dr. to Norwest Dr. New signs and fences along Nahatan Street welcome residents and visitors. 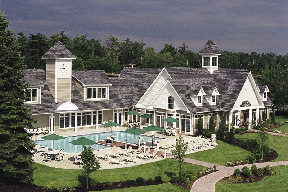 Older sections of the property were repainted to blend with new units and the Clubhouse. 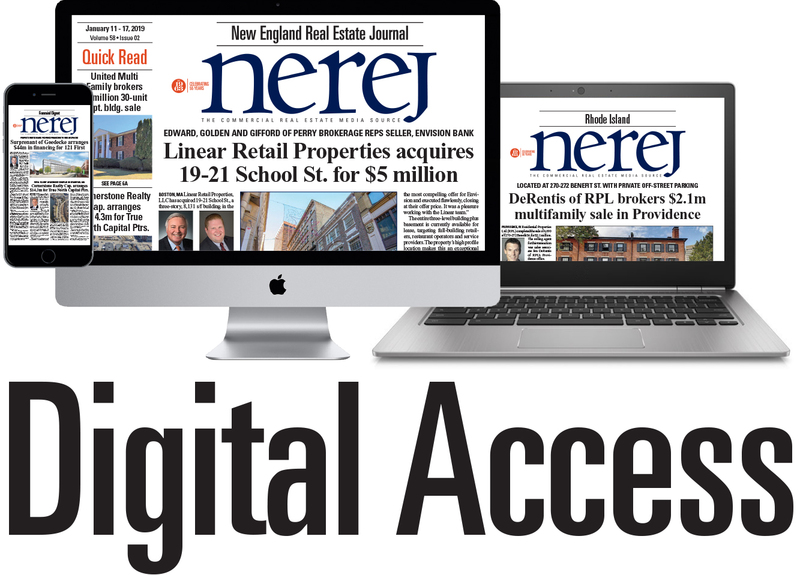 "Norwest will continue to provide quality housing with quality services at reasonable prices to the Rte 128 suburban business community," said Chestnut Hill Realty CEO Ed Zuker. 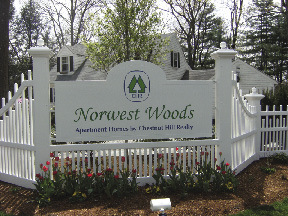 "Norwest Woods is a family-oriented community, which CHR intends to build on by providing more programs and services."